Tzuyu Lai is a student in SKEMA Business school for her master degree of Project and programme management and business development. 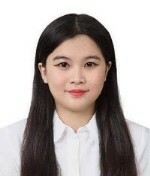 She has a bachelor’s degree in law from Chengchi University (NCCU, Taiwan), during her five years of university, she went to University of Seoul, Korea and University of Konstanz, Germany as exchange student. Afterwards, she did internships in an E-commerce startups as a marketing assistant. The experience broadened her mind and made her decide to come to France for her Master’s degree. As an international talent, she is willing to take any challenge out of her comfy zone. She is interested in working in an international environment and a career that combines her bachelor and master background. She has training on PRINCE2, Agile, CAPM and other project management knowledge in her master’s degree program.